The FlashForge Finder 3D-Printer features an intuitive calibration detection system that assists in leveling and also detects the distance between nozzle and build plate to verify whether you’re leveling is at the right position. 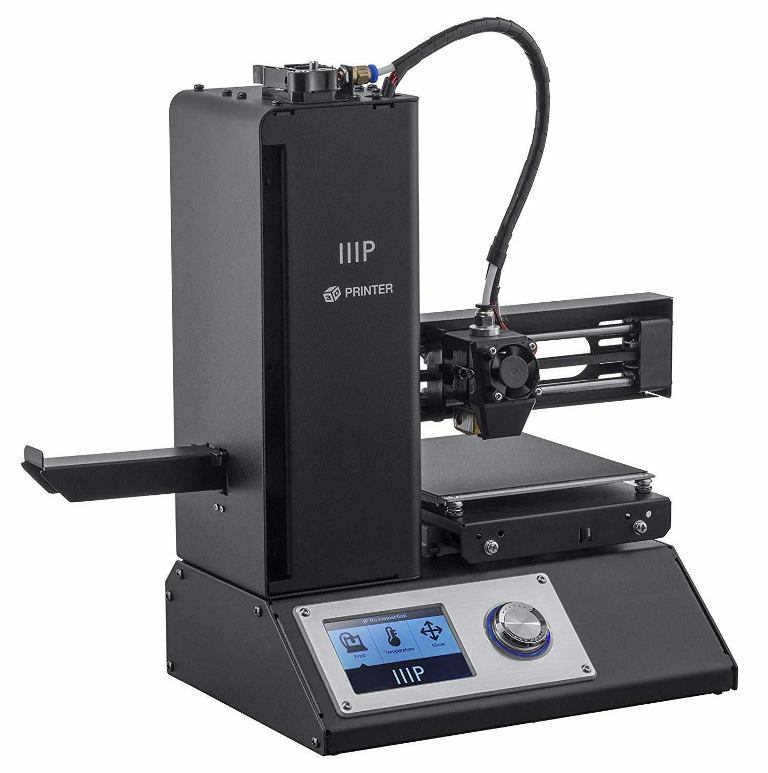 Additionally, this 3D-Printer features a 3.5-inch HD IPS touchscreen-display with controls at the top-section in-order to facilitate for easy calibration and displays all messages clearly. In fact, this display features a real-time view printing status that also lets you know when printing will be finished while the integrated multiple-languages which include; English, German, French, Dutch, Polski, Korean and Japanese facilitate for easy usage in different countries. 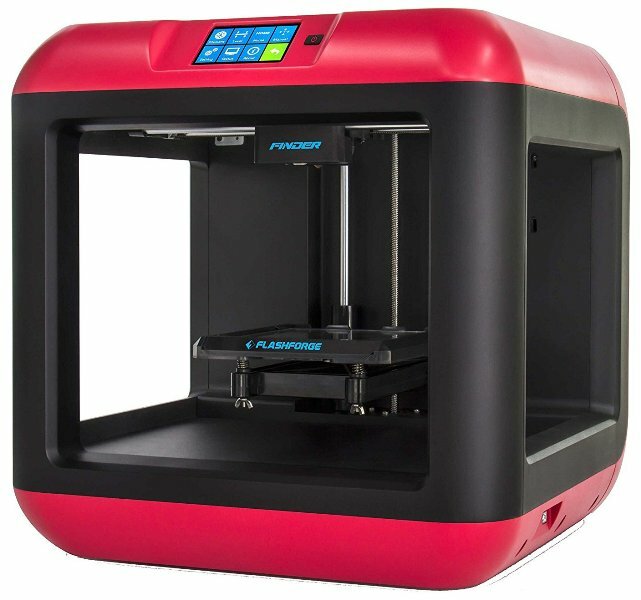 On the other hand, this 3D-Printer features the 2nd generation Wi-Fi connection for more stable wireless file transmission while the integrated 4GB-Memory offers enough storage-space for files to be printed and the USB-Port facilitates for easy transfer of files in-case you don’t want to use Wi-Fi networks for connection. Likewise, this 3D-Printer features a slide-in build plate that facilitates for easy removal of finished 3D-Prints while minimizing damage to the printers’ body. A 3.5-Inch full color touchscreen with intuitive icons. A Safe and non-heated build plate for easy printing. It offers Wi-Fi, USB, flash-drive & Cloud connectivity. It uses PLA only as a printing material for 3D-objects. A Sturdy plastic & alloy construction for stable prints. A Slide-in build-plate for easy removal of printed objects. An intuitive calibration detection system to assist leveling. A Build volume of: 140-L x 140-W x 140-H in millimeters. An adjustable Layer resolution of 100-400 microns & Nozzle diameter of 0.4-mm. It supports different languages which include: English, German, French, Dutch, Polski, Korean & Japanese. Compatible operating systems include: Windows 7/8/8.1/10, Mac OS x and Linux & uses Flash-print software. 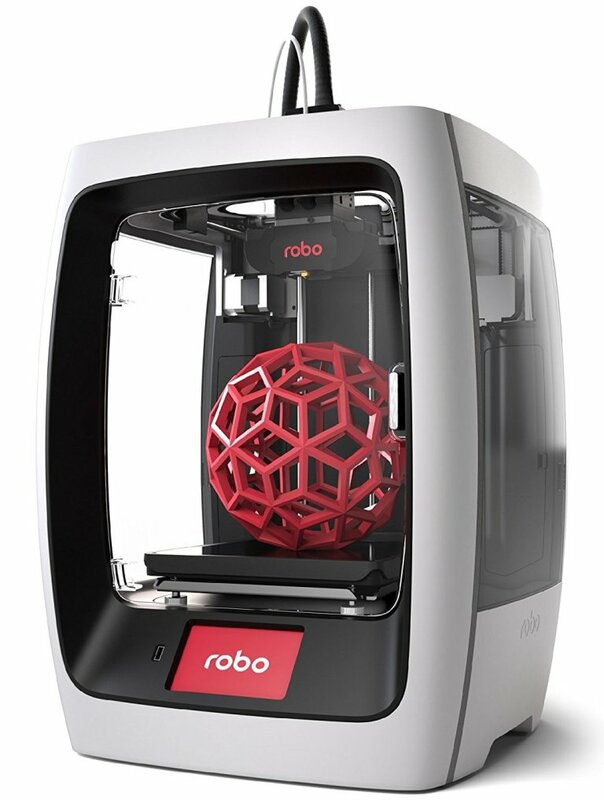 The Robo R2 is an advanced, fully-featured 3D printer that uses smart-technology to ensure a seamless and exceptional 3D printing experience. 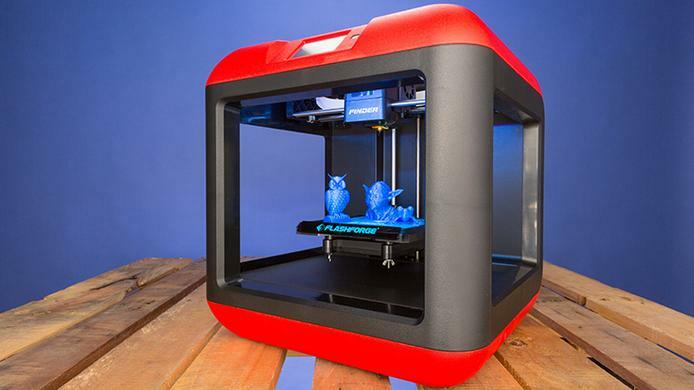 In fact, this 3D-Printer features a large 8-inch x 8-inch x 10-inch build volume and its even offers one of the fastest print speeds in the 3D consumer market with up-to 250mm per second and one of the largest build-volumes in its category while its built-in 5-inch color touch screen is very easy-to-use and displays all the printing-information in real-time. 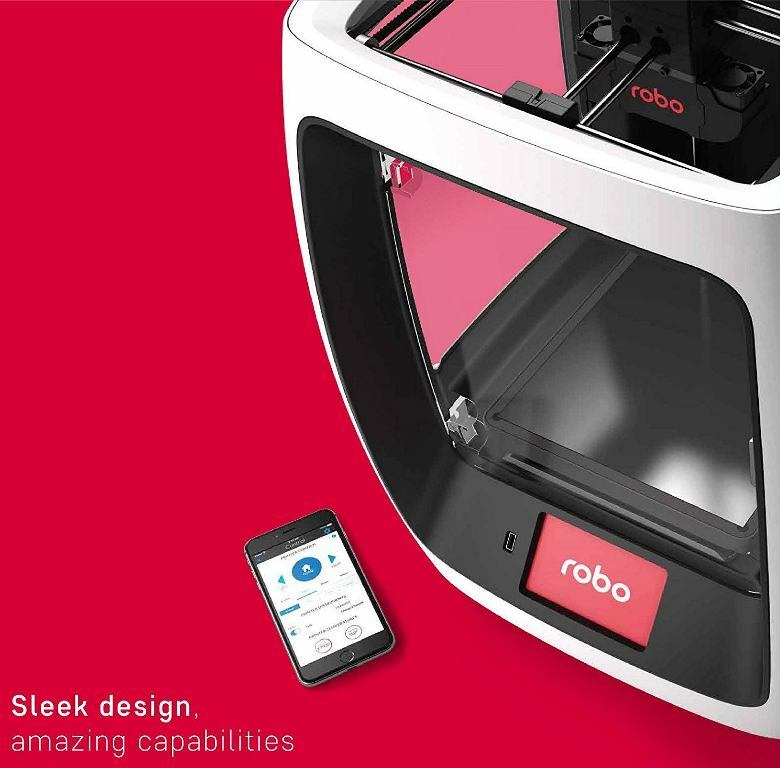 Additionally, this 3D-Printer features Wi-Fi and mobile-connectivity via a fully-compatible Robo-print-app so that you can easily print 3D-Objects right from any iOS device while the integrated removable, heated and automatic self-leveling print bed with a buildtak surface facilitates for quick and easy printing without use of painters tape or hair spray on the platform. 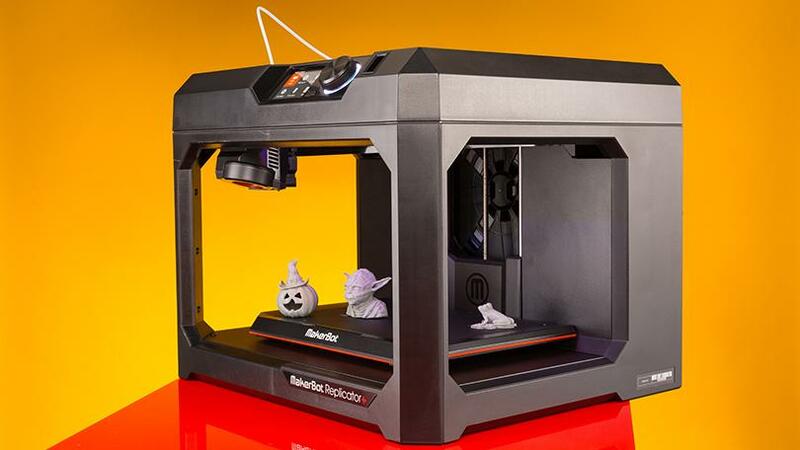 Likewise, this 3D-Printer supports Apple-iOS, Mac-OS, Windows, Linux and other file-types like; STL, OBJ and AMF. On top of that, the Robo-R2 features a 3D printing resolution of up to 20 microns for smooth and highly detailed prints and it can support over 30 materials from a variety of vendors including a majority of Robo legacy materials, PLA, carbon-fiber, wood, metal infused and flexible materials. In fact, you can even use an additional extrusion-head to print 2-materials at once while using this 3D-Printer. 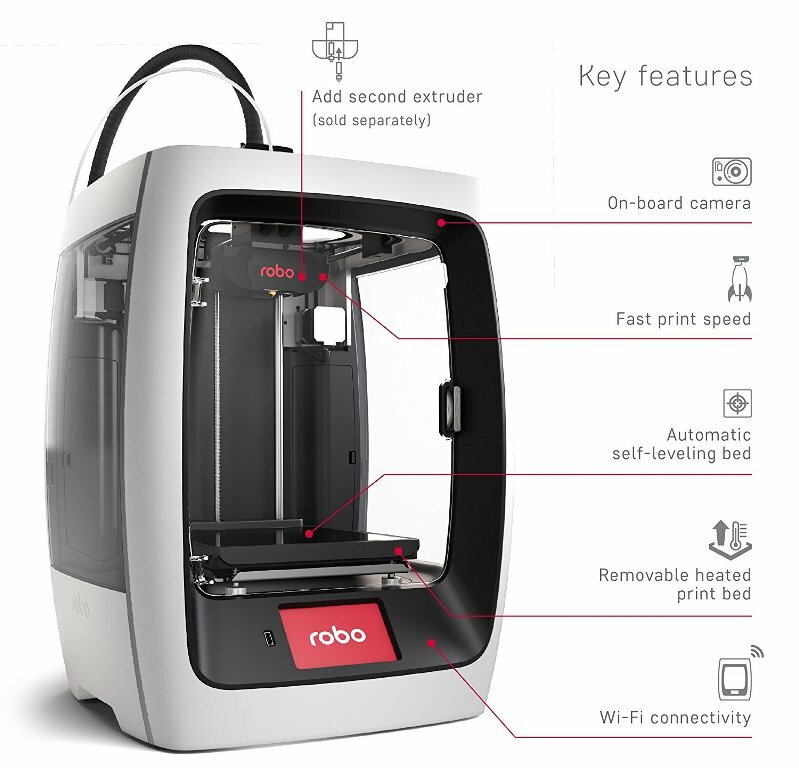 Lastly, this printer integrates Thingiverse and MyMini Factory so that you can have access to printing over 100,000 models right from your smart phone and an onboard camera to easily monitor projects from the cloud dashboard within the Robo-App. A Smart Assembled 3D-Printer with Wi-Fi. CES Award-winner for best innovation & design. 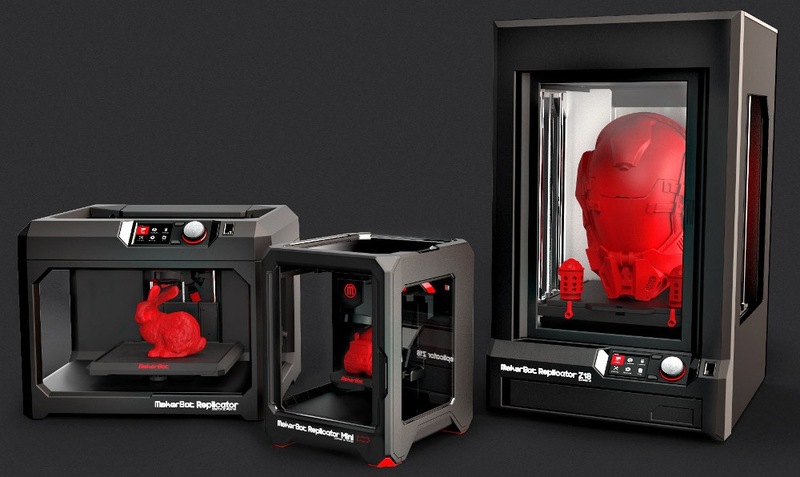 It’s the most feature-full 3D-printer for the price. Uses smart technology for seamless & exceptional 3D-printing. Stores up-to 500 3D-models using the integrated 4gb of storage. A removable, heated & buildtak platform with automatic leveling. An 8” x 8” x 10” build volume that is 25% larger than the average 3D-printers. A print range from 300-to-20 micron in layer height for best in class print quality. An onboard camera to easily monitor projects from the cloud dashboard on the Robo app. It features a 5” color touch screen that is easy-to-use and displays necessary information. Open source filament system for printing with 30+ materials from a variety of vendors. Innovative on-board slicing as well as start/stop & monitor print-jobs from the touch-screen. Wi-Fi Connectivity for printing directly to your 3D printer with your Smartphone or tablet. Filaments run-out detection system so that print jobs will never fail due to material running out. Automatically notifies you to save 3D-Prints so that you can resume when you’re ready with a fresh roll. It features a downloadable App for use on iOS-devices & helps you save models in Google-drive or Dropbox for easy access. The Monoprice Select Mini 3D Printer V2 comes fully assembled and calibrated for quick and easy usage after receiving it. In fact, this 3D-Printer only requires you to perform a quick check to verify that the print bed is leveled in-case it shifted during transportation and afterwards load the included microSD-card and filaments in-order to start printing the preloaded model. 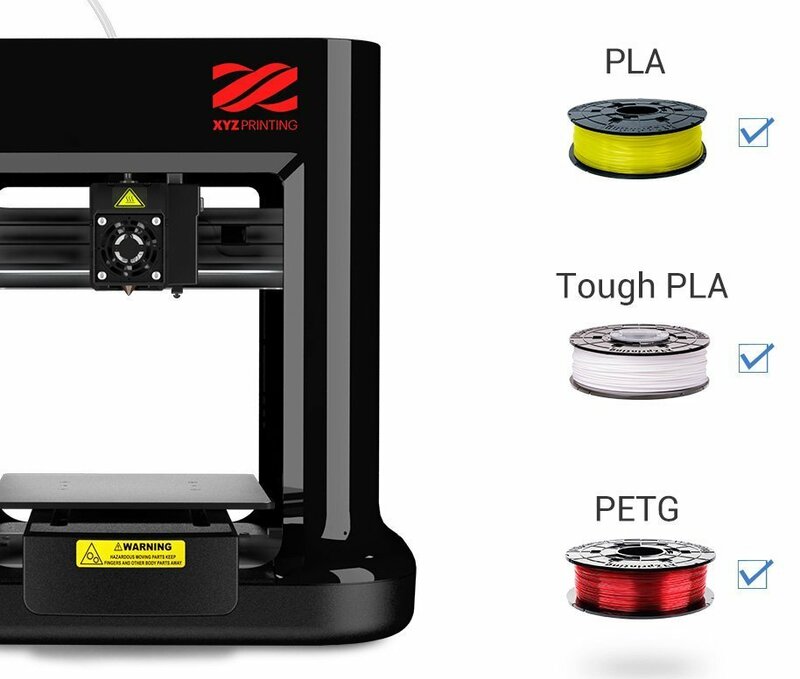 On the other hand, this 3D-Printer features a heated build plate and a wide-range of extruder temperatures that allow it to work with any type of filament from any manufacturer while its ability to use free and open-source software allows you to tailor your 3D printing-experience to your personal taste. 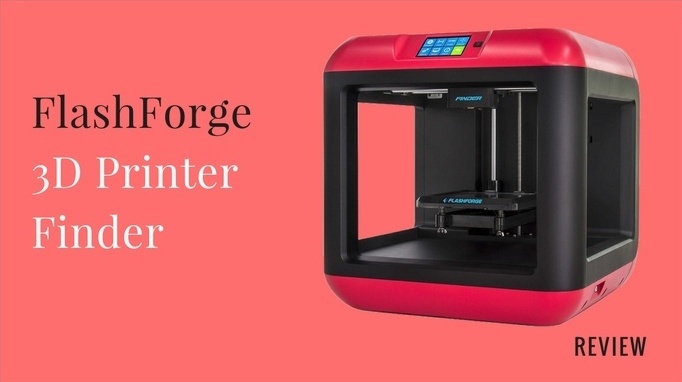 Likewise, this 3D-Printer features an all-metal nozzle, an insulated heated built plate, upgraded cooling, a 3.7-inch IPS color screen for easy control and displaying information coupled with Wi-Fi connectivity. Lastly, this 3D-Printer comes with sample PLA filament and a microSD card with preinstalled models so that you can start printing right away and it’s even the best community rated 3D printer in the world. It’s a fully-assembled, mini 3D-Printer. Best community rated 3D-printer in the world. It has already been calibrated at the factory. It features a 3.7″ IPS color-LCD display/screen. An All-metal nozzle & includes an accessory kit. A Nozzle cooling fan and main board cooling fan. It features an aluminum build plate that is durable. It offers Micro-USB and MicroSD-card connectivity. Compatible with Cura, Repetier and other software. Includes a MicroSDTM-card with preinstalled models. It features a quick-release steel gear filament feeder. It features a Maximum Power Consumption of 120 Watts. It features a small footprint and basic, open-frame design. It features Wi-Fi connectivity via Smartphones or computers. A heated build-plate & wide-range of extruder temperatures. Work with any type of filament from basic-filaments like; ABS & PLA to more advanced materials. The da Vinci is a Mini Wireless 3D-Printer that comes ready to print using XYZ printing-filaments. In fact, this 3D-Printer comes with a free starter filament and an auto-calibration function so that you can start your first print right away while its lightweight of just 18-lbs makes it very easy to carry and move with around your house or when traveling. Additionally, this 3D-Printer comes with CAD and slicing software coupled with a user-friendly UI-design that easily leads you through modeling to printing while the PLA-filament used by this printer is made out of natural-materials and the XYZprinting provides over 30 ready-to-teach lessons online which are designed to ensure collaborative learning and problem-solving skills of your child or student. 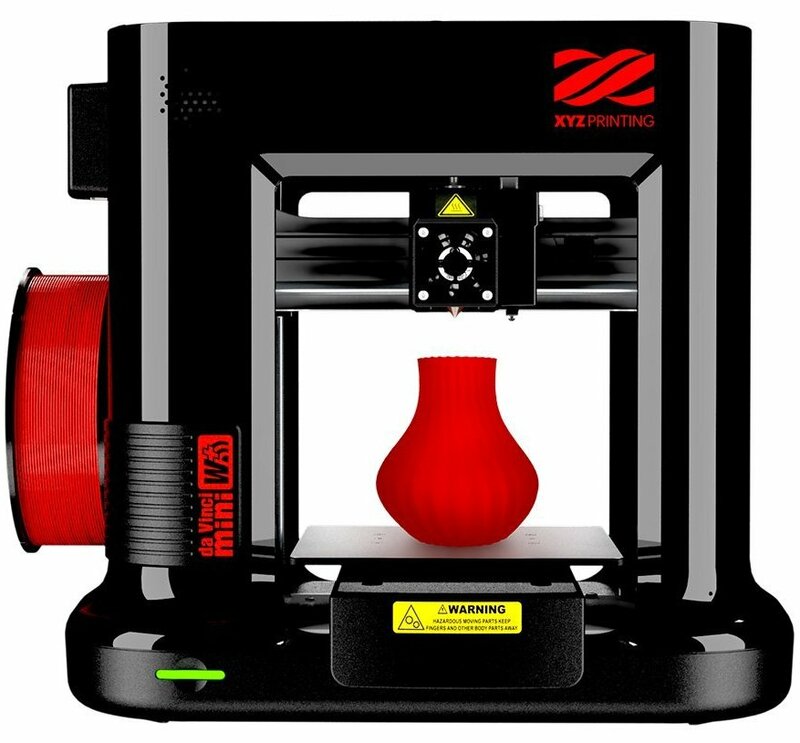 On the other hand, this 3D-Printer can be connected wirelessly to your home-network or Smartphone for easy 3D-printing throughout your home, office and classroom while the different colored LED’s help to indicate printing-conditions and the FREE downloadable version of XYZmaker 3D modeling design software will greatly help beginners. It’s a Mini Wireless 3D Printer. It features 6″x6″x6″ Built-in Volume. It features a single-button print design. It features a 5.9″x5.9″x5.9″ aluminum print bed. The da Vinci Mini is 30％ smaller than da Vinci Jr. 1.0. Connects wirelessly to your home-network for easy 3D-printing. Provides different colored-LEDs to indicate printing conditions. Its filaments are made of PLA-plastics that are environmental & non-toxic. It includes a 49 3D-Design eBook, 10 Maintenance-Tools & XYZmaker Cad 3D Software. The DigiHero is a 3D Printing Pen for Kids & Adults and it will actually help children improve on spatial thinking, cultivate creation and artistic skills yet it’s also a great way for parents and children to spend quality time together at home. 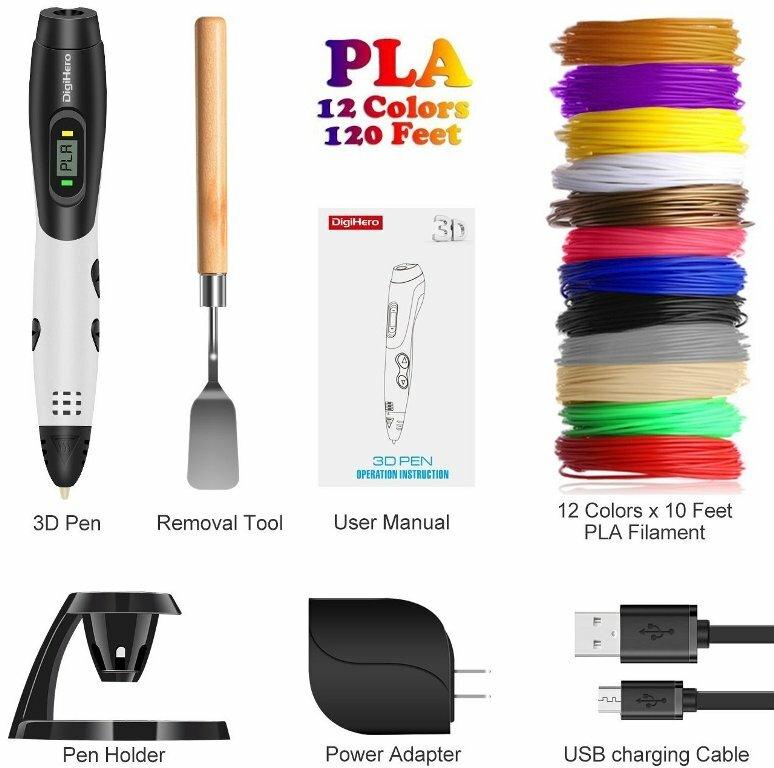 This 3D-Pen is compatible with both PLA and ABS whereby it even comes with a 1.75mm PLA filament Pack of 12 Different Colors with each color at 10-feet. In fact, PLA Filament is a more eco-friendly because it’s made of corn-based plastic that is considered safer than ABS-filament. 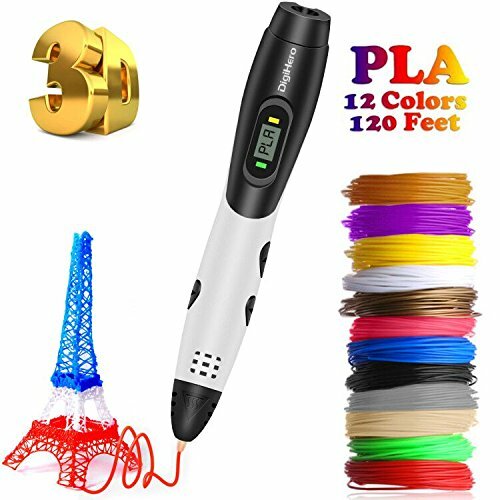 On the other hand, this 3D-Pen features 3 printing-temperature modes and adjustable printing-speed modes coupled with an advanced LCD screen that clearly displays the corresponding speed, allows you to choose the appropriate mode according to painting proficiency and it even lets you monitor temperature of material and extrusion speed when drawing a 3D-Model. Likewise, this 3D-Pen features a USB port power supply and it can be charged with a mobile power bank, computer or laptop hence making it more convenient to use. It’s a digital 3D-Printng Pen. It’s compatible with both PLA and ABS. It’s equipped with an advanced LCD screen. It features 3 printing temperature modes. It features 3 adjustable printing speed modes. Comes with a 1.75mm PLA filament Pack of 12-Colors. It features a USB port power supply that uses 5V/2A. It’s designed for drawing objects both indoors and outdoors. It’s designed for use by children with ages of 5-years and above. This 3D-Pen makes a perfect gift for both kids & adults and enhances creativity & artistic skills. CONCLUSION: All the featured 3D-printers and 3D-pens are designed to help you accomplish your 3D-printing projects in 2019. 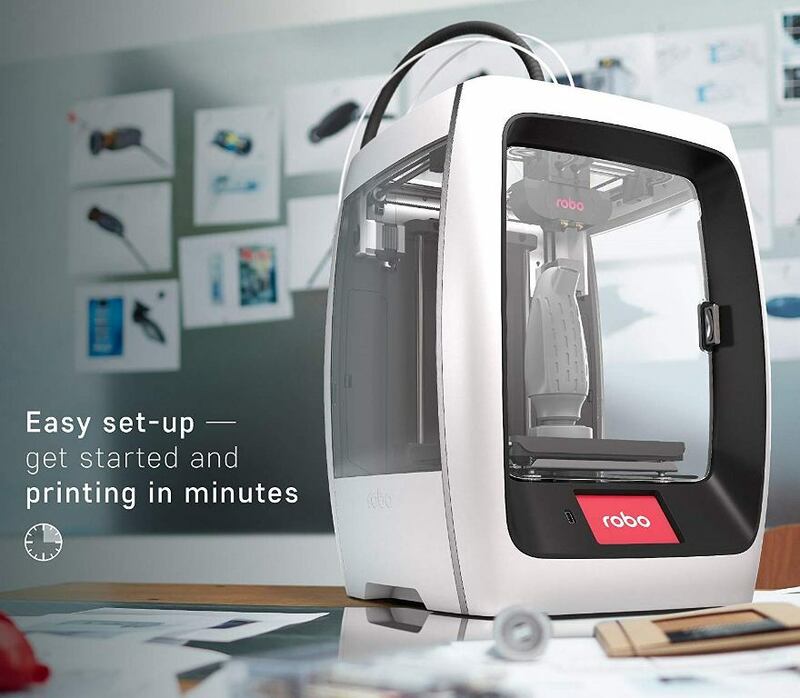 In fact, if you have been searching for the best 3D-printers on the market today then just take a minute to read through this post and you will actually get at-least one portable 3D-Printer that can manage all your 3D-printing jobs whether you’re an adult or child.